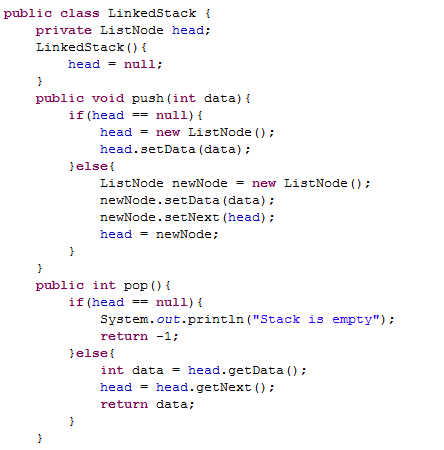 In this post, we'll see the other way of implementing Stack is by Linked List. 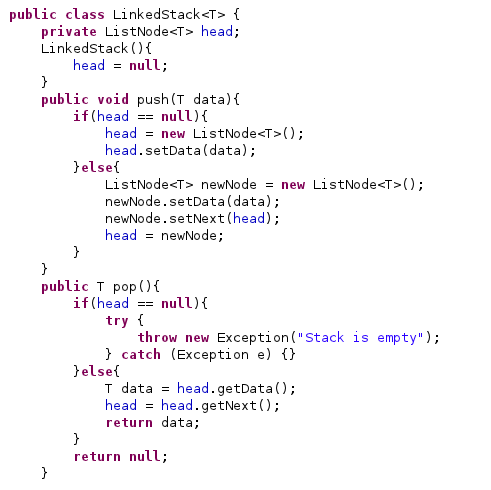 This is continuation of the previous post about Array implementation of Stack. 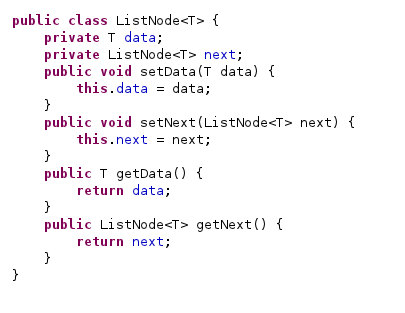 In this implementation, push operation is implemented by inserting element at the beginning of the list. 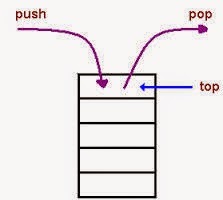 Pop operation is implemented by deleting the node from the beginning. 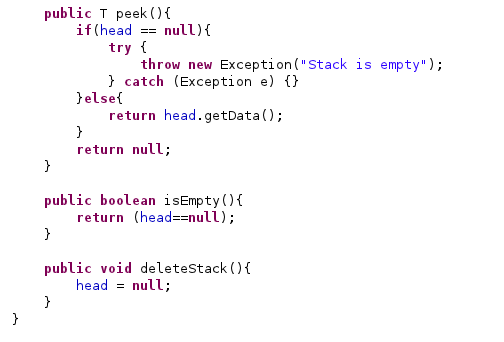 Even you can throw exception instead of printing message in case of pop operation when stack is empty. 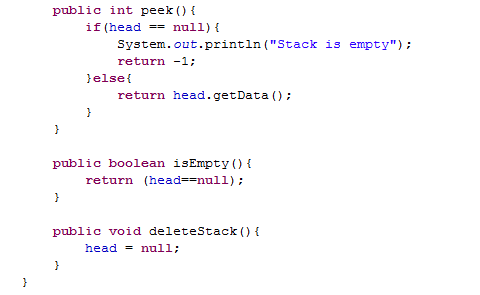 good explanation...But i am not able to copy the code in your post. I think you have used the image for the program. Could you please post the code instead of image..
Code is already available at the end of the post.